The Baviaansriver conservancy is a 400 000 acre low fenced conservancy. Great variety of animals free ranging and indigenous to this area make for great hunting and trophy quality. The Baviaansriver conservancy is a 400 000 acre low fenced conservancy. Great variety of animals free ranging and in indigenous to this area make for excellant hunting and trophy quality. 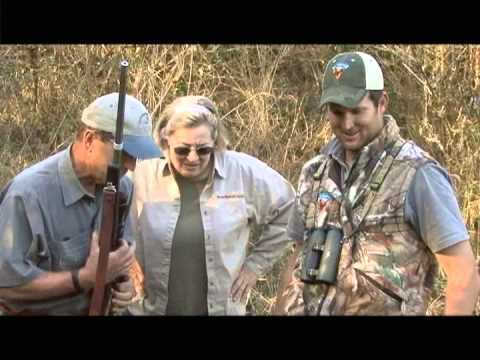 The conservancy is big country with a wide variety of game. There are 30 huntable species in the area. From the common animals like Wildebeest, Blesbuck, Gemsbuck, Waterbuck and Impala to the less common Lechwe, Bontebuck and Vaal Rhebuck. There are very good numbers and quality of Cape Kudu, the Cape Kudu is darker and slightly smaller in body than its northern relative the Southern Greater Kudu. From camp, it is an easy 1,5-hour drive to the sand forests of the Indian Ocean where we hunt Blue Duiker, Caracal with hounds, Cape Grysbuck and Bushpig. Hunting is at its best early in the morning and in the evenings when animals are moving and feeding. Due to the undulating terrain getting to a good vantage point and glassing is the preferred method of hunting. We try to hunt as much as possible on foot but generally there is a good network of roads for the less mobile. All 3 areas, the Baviaansriver, Stormberg and Umkomaas are privately owned. Crusader Safaris owns land in all 3 areas and has exclusive access to the rest. The hunting pressure throughout is low, we set our own quota with the intention of maintaining the trophy quality standards we have set long into the future. The diversity of wildlife, numbers of animals and scenic beauty and size of the country is what this great free range area is known for. The Baviaansriver lodge is situated in the 450000 acre concervancy. This luxurious hunting camp has 4 private en suite cabins, large entertainment area and trophy room. The full time chefs prepare the game shot by you on safari over open fires in true African style, served with fine South African wines. Beautiful sunsets, camp fires and cuisine characterize this lodge. The lodge with its African atmosphere accommodates up to 10 people. All cabins are en suite with heaters. Power is supplied by generator and solar and is 220v, we recommend that clients bring international converters. If you have any food or drink preferences and dietary requirements please advise us well in advance ensuring we can be prepared for your stay. The Baviaansriver Lodge is situated in the middle of the 450 000 acre conservancy. Usually hunters will head out after a light breakfast and return at midday for brunch and a siesta. As the conservancy is so big on days where you hunt further from camp a packed lunch will be enjoyed in the field. This camp with its beautiful views, comfort and close proximity to Port Elizabeth and sightseeing is ideal for both the serious hunter and family groups looking for an African hunting experience. View the Crusader Safaris price guide.